Kimberley is a psychologist and describes herself as ‘a flavour magpie’. 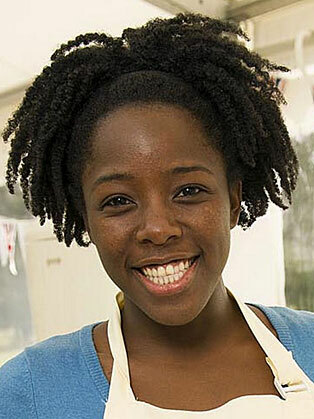 She was a runner-up in the 2013 Great British Bake-off. Her baking reflects the huge variety of flavours that she has picked up throughout her life, mastering technically interesting and difficult bakes. Kimberley was also a finalist in The Good Food Resturant Inspector competition and regularly presents on BBC 2’s Food and Drink.